Sometimes it takes an extremely visual message to help clients see things in a whole new light. This is certainly what the Bank of New Zealand (BNZ) had in mind when they pledged to help New Zealanders be “good” with money. The BNZ used a direct mail marketing campaign to show homeowners how much money was being wasted on unnecessary home loan interest. The message certainly got through—and their return on investment was remarkable. Purchasing a home is a huge investment. Taking on a mortgage becomes part of the process, but not being thorough when choosing a lender can cost homeowners significantly more money than necessary. The BNZ decided to use a direct mail marketing campaign to encourage homeowners to tackle their home loans. The BNZ teamed up with the Reserve Bank to gather old banknotes that are shredded daily and subsequently turned into waste. They placed bundles of these shredded banknotes into envelopes and mailed them to homeowners across the country. A letter accompanied the “shredded cash” explaining how homeowners could save up to $156,000 on a $300,000 mortgage. Campaign results were more than profitable. Home loan inquiries increased by a whopping 13% and the bank preference increased by 11% against the bank’s non-main bank customers. As far as actual monetary gains: BNZ mortgage lending increased by $600 million—a significant increase for any big bank. When the bank needed to reach its customers for an important message—it turned to direct mail as the medium. With the plethora of marketing options available, it speaks volumes to the power of direct mail marketing and the trust big businesses have in direct mail’s ability to impact consumer behaviour. Finances are a personal matter and one in which people, for the most part, try to keep private. This campaign effortlessly depicts the nature of direct mail marketing—it is one of the most intimate forms of communication and one in which consumers feel secure. Finally, this campaign could only have been successful with direct mail marketing. There was no other way to conjure up this type of imagery (i.e. shredded cash) and incite such strong emotion other than through direct mail. Seeing actual shredded money is a vivid reminder of wasted money—literally real money gone to waste. This imagery coupled with the BNZ’s powerful messaging resulted in a successful campaign. 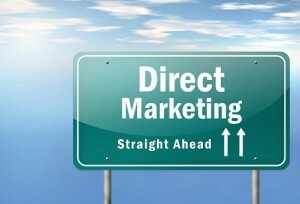 Macromark believes that direct mail marketing is one of the most effective forms of marketing—especially when it comes to return on investment. We’ve been in business for over 25 years and understand how a well-organized direct mail campaign can yield incredible results. BNZ’s marketing campaign is one of many examples that prove how implementing a direct mail marketing campaign can greatly benefit your business. Contact Macromark today to discover how we can help your marketing campaign become the next success story.